Stassia Feltes is from Washington State, growing up part of her life outside Seattle and the second half in Spokane. She attended Washington State University for her Bachelor of Arts Degree in Elementary Education. Upon receiving her degree and teaching certificate, she accepted a job in New York City where she experienced her first year of teaching in inner city Brooklyn. Teaching students in the highest low-income area of Brooklyn proved to be challenging. From her experiences in New York City and the challenges she faced within the classroom, she realized her passion was geared towards helping students succeed not only in school but in life. She decided to attend Washington State University, Spokane to attain her Master's of Education Degree in Curriculum and Instruction, with a focus in Reading and Middle Level Mathematics. Her research and thesis focused on Students that Drop out of School:Prevention Methods that Engage Students in High Poverty Middle Schools. Shifting her career path, Stassia moved to Tonasket, WA to work as an Academic Coordinator for the WSU Upward Bound Program. She recently took a position as Director of an Upward Bound Math Science Program in Yakima, WA. Within TRIO, she has served on the CLC Committee as the Education Coordinator and Co-Chair, has served on the NAEOP Conference committee, and is now serving as the Secretary on the WSTA Board. Stassia is the Conference Chair of the 2017 WA State Civic Leadership Conference along with members Bopha Cheng, Stephaine Sanchez, Mary Hughes, Meghan Carranza, Alex Eppel, and Keri Lobdell. 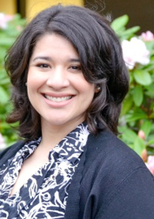 Kesia Ceniceros is the Associate Dean of TRIO Programs at Everett Community College. 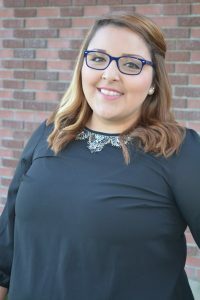 An Arizona native, Kesia is a proud alumni of TRIO Student Support Services at Northern Arizona University where she received her Bachelor’s degree in Ethnic Studies and Master’s in Education, Student Affairs. She moved to Washington in 2012 to join the SSS team at the University of Washington. Kesia has dedicated her life’s work to serving underrepresented students in higher education and advocating for educational equity. Shiloh Penland is the Director of the Skagit Valley College Student Support Services Program and is Adjunct Faculty. She earned her BS in Psychology and English from Washington State University and MA in Communication and Leadership Studies at Gonzaga University. Shiloh has worked in TRIO for five years, and immediately upon her role she began looking for leadership opportunities within the TRIO community. Prior to serving on the WSTA Board, Shiloh served as the NAEOP Conference Registration Sub-Committee Chair for three years and as a member of the WSTA Public Relations and Networking Committee for two years. She is currently the WSTA Past-President. 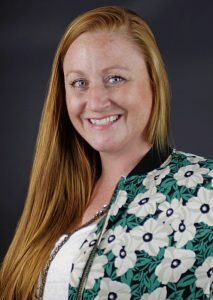 Lauren Conrad Goff serves as the Director of TRiO Student Support Services at Walla Walla Community College (WWCC) in Walla Walla, Washington. Lauren’s work over the past nine years reflects her commitment to college and career readiness, equity in access, and student success. Lauren began working in 2008 as an in-class tutor for Washington State University-TriCities’ (WSU-TC) GEAR UP program. Her first day tutoring a classroom of eighth-grade students remains a hallmark memory and the impetus for continual movement not only up through the grade levels with a cohort of students, but into greater responsibility as a leader. In 2010, Lauren became one of the developers and staff of the Student Achievement Specialist position whose model would be adopted region-wide through the GEAR UP grant. In 2014 she became the WSU-TC GEAR UP Site Manager position at Walla Walla High School. In the summer of 2016, she accepted the position of Director for TRiO at Walla Walla Community College. Her current work with TRiO SSS in post-secondary education has been incredibly fulfilling as she serves her staff and continues her work with the TRiO demographic of students on their journey upward and onward toward a college degree. Lauren is excited to grow with the Washington State TRiO Association as together we advocate for TRiO programs and students locally and nationally. 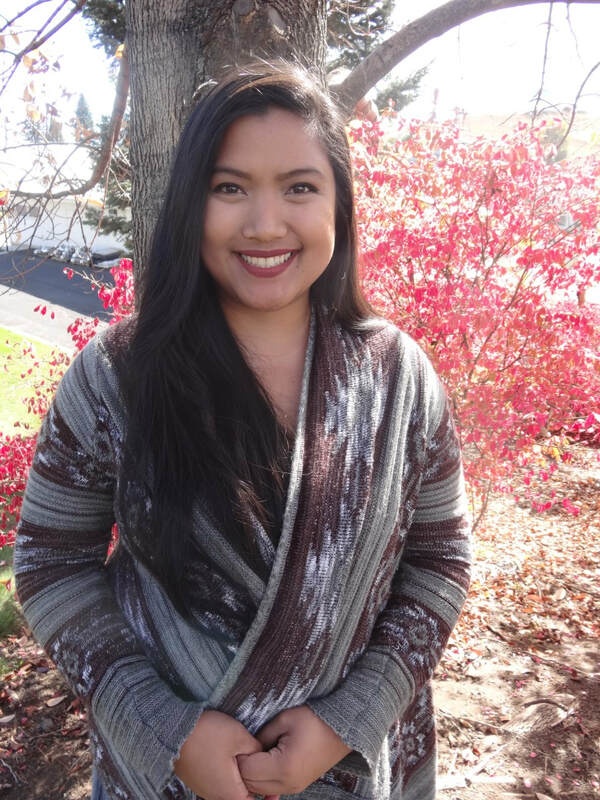 Hildegarde Velasco currently works for the TRIO Student Support Services Program in the Office for Access & Opportunity at Washington State University. Hildegarde joined the TRIO Student Support Services team in 2012 after receiving her Bachelor’s degree in Sociology from Washington State University (Go Cougs!). She enjoys being a part of an amazing team that is invested in helping students develop, achieve, and graduate. 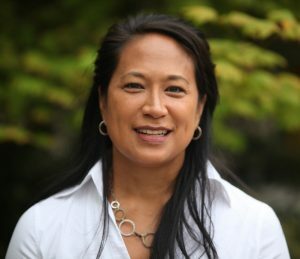 Hildegarde is originally from Hawai’i but enjoys living here in the Pacific Northwest and being able to experience all four seasons – especially fall. She enjoys serving as WSTA Treasurer because of the unique opportunity to learn from an inspiring group of leaders on the WSTA Board and from TRIO Programs across the PNW. 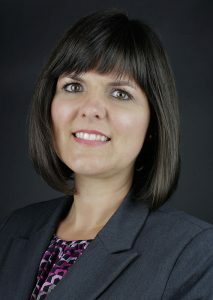 Stephanie Sanchez earned her Bachelors of Social Work at Heritage University and Masters of Education with a concentration in Education Leadership at Concordia University. In her prior work to TRIO, Stephanie worked in the secondary education system where she worked with at-risk students and provided services to encourage students to continue. Within TRIO, Stephanie has served on the Civic Leadership Conference Committee, Washington State Professional Development Conference Committee, and has held the East Representative position in 2018 and currently in 2019. Stephanie has a passion for working with young adults and allowing them to pursue their dreams. Sarah Sabay is in her fifth year as a TRIO Director at South Seattle College, overseeing the SSS and EOC programs. Before coming to South, she worked at the University of Washington as a Program Director for MESA (Math, Engineering and Science Achievement) for seven years, and prior to that she held the position of Executive Director of the Austin Foundation, a nonprofit organization dedicated to promoting health and fitness to youth in the south King County region. She completed her AA degree at North Seattle Community College and later transferred to the University of Washington where she earned her M.Ed. in Educational Leadership and Policy Studies. Sarah grew up in Seattle and has almost 20 years of education, nonprofit and community service work, both locally and globally, including volunteering for the Sierra Club as a grant writer and trip leader, and teaching English in Guatemala, Ecuador, and Thailand.